Informed by a lifetime of experience and study, The Most Important Thing explains the keys to successful investment and the pitfalls that can destroy capital or ruin a career. 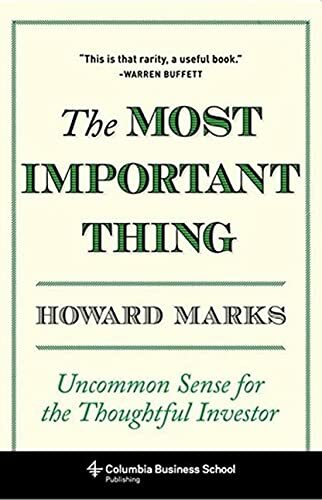 Using passages from his memos to illustrate his ideas, Marks teaches by example, detailing the development of an investment philosophy that fully acknowledges the complexities of investing and the perils of the financial world. 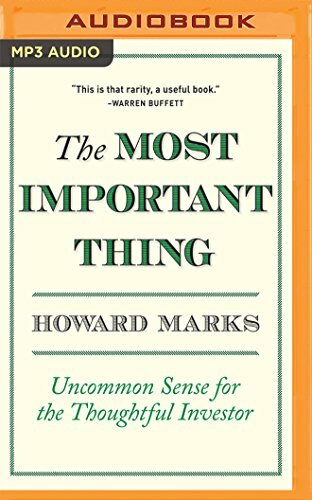 Brilliantly applying insight to today's volatile markets, Marks offers a volume that is part memoir, part creed, with a number of broad takeaways. Marks expounds on such concepts as "second-level thinking," the price/value relationship, patient opportunism, and defensive investing. Frankly and honestly assessing his own decisions—and occasional missteps—he provides valuable lessons for critical thinking, risk assessment, and investment strategy.